QSITE connects and supports educators, institutions and their stakeholders so they may fully explore the opportunities Information Communication Technologies bring to Queensland education and its classrooms every day. The QSITE Conference is a chance to meet, greet, create connections by sharing practice, insights, innovations and approaches to technology education. Whether you are an experienced teacher, teacher educator, curriculum leader, beginning or student teacher you will benefit from the wide range of available sessions, keynote presentations and workshops to provide you with new ideas, new perspectives and maybe a few new friends. Share stories from the classroom and have the time to network with peers. Discover solutions to curriculum and networking issues in education. Be exposed to the latest thinking and ideas around Digital Technologies education. creativITy ’18 features a comprehensive program of half-day and full-day workshops on the first day with Day Two containing a broad range of sessions on digital technologies, ICT and innovation, highlighted by several keynote presentations. The downloadable PDF has more detailed descriptions of each speaker and their presentation or workshop. Dean served five years in the Royal Australian Air Force before founding Australia’s Indigenous business accelerator, Barayamal – now known as a world leader in Indigenous Entrepreneurship. 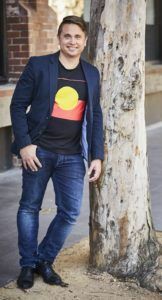 Dean is an action-oriented entrepreneur, Microsoft RAP Advisory Board Member, winner of the Indigenous Digital Excellence (IDX) Entrepreneurship Award, and proud Kamilaroi Man from Gunnedah, NSW. 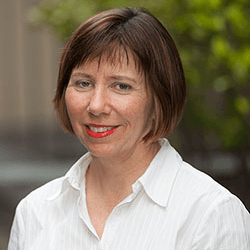 Julie oversees the development and writing of the Australian Curriculum: Technologies F-10. She has worked as a teacher, distance education writer, curriculum advisor and curriculum developer. Julie has developed and presented a range of professional learning workshops and presentations for technologies educators and professional teachers associations, most recently on the Australian Curriculum: Technologies. The Australian Curriculum, Assessment and Reporting Authority (ACARA) is an independent statutory authority responsible for developing and implementing a national Australian curriculum, the national assessment program and reporting on school performance via MySchool. 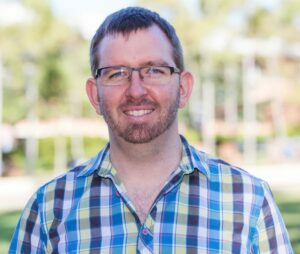 James Curran is the Academic Director of the Australian Computing Academy and an Associate Professor in the School of Information Technologies, University of Sydney. He is Director of the National Computer Science School, the largest computer science school outreach program in Australia. Last year, over 10,000 students and teachers participated in the 5-week NCSS Challenge. James is a co-founder of Grok Learning, an Edtech startup that aims to teach children everywhere to learn to code. He was a writer on the Australian Curriculum: Digital Technologies, the new national computing curriculum. In 2014, James was named ICT Leader of the Year by the ICT Educators of NSW and the Australian Council for Computers in Education. The price including attendance of the conference sessions over the two days, catering and the social function on Thursday, 5th July is as follows. 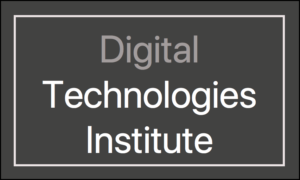 A big thank you to our sponsors for their support of ICT and digital technologies education in Queensland. Brigidine College is only a convenient 700 metre walk (8 minutes) from Indooroopilly Station. Accommodation in Brisbane is plentiful with excellent hotels in Toowong (two rail stations away) and the city (6 rail stations away). Get more information and hotel suggestions on the creativITy ’18 Accommodation page.